Scalable Vector Graphics, short SVG, are powerful XML based vector graphics. Unfortunately SVG isn’t 100% supported by all browsers, but the most modern browser support the most things, except the Internet Explorer (what a coincidence!). You could get an clear overview on caniuse.com of the SVG-browser-support. If you combine the power of CSS and SVG you could create awesome effects like a 3D looking maps without plugins, when your browser support it. I created the map with Firefox 3.6, but it works also ongoing with Firefox 3.5 (Gecko 1.9.1). Sadly I don’t get it work in WebKit, it seems to be a bug that WebKit don’t work with SVG powered CSS masks. There exists a property for CSS mask: -webkit-mask(-image) but there is no working example online, just a screenshot example in the WebKit Developer Blog. I used a map from Google Static Maps for this example, you could get an overview about the different parameters and an instruction of it in the Google Static Maps API Docs. Note: For Google Static Map you don’t need a Maps API key. The most CSS code should be no problem for advanced CSS coders. 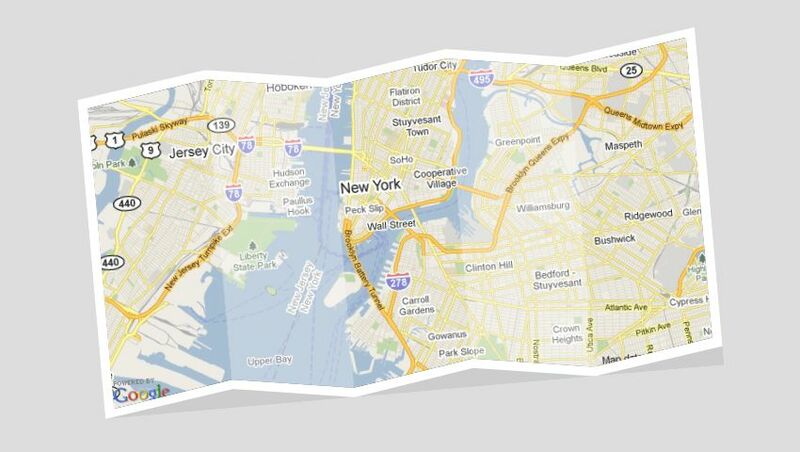 The -moz-transform/-webkit-transform property rotates the #map-wrapper element to -5 degrees. -moz-box-shadow creates the map shadow to give the map an additional deep. clip-path properties referencing the SVG clip-path-polylines and mask the SVG mask. The #mask element attributes are based of the relative width and height of the referenced element (in this case #map img). All mask-rects (5 rects) have a width of 20% and are have 100% height related to the referenced element. The x-attribute is every time 0.2 higher from rect to rect, that the last element (width 20% = 0.2) has an end width of 100%. The color changes from rect to rect to simulate the folded map. Now we are nearly finished, we just have to clip the borders with SVG clip-paths. The #clip-outer clips the border of the white (background) wrapper and #clip-inner of the image map itself. The clip-path is based on a polyline/polygon, the first number represents the y-, the second number the x-position and the space between the two numbers separates the particular x/y position of the points. The document has to have the "real" XHTML header: "Content-Type: application/xhtml+xml" to work. Also this currently just works in Firefox, if you have any idea how to get this work in other browsers, let me know it! If you need addition resources/information about that topic, visit MDC (Mozilla Developer Center): Applying SVG effects to HTML content. Check out more helpful CSS tutorials or share this page on social media to help others.